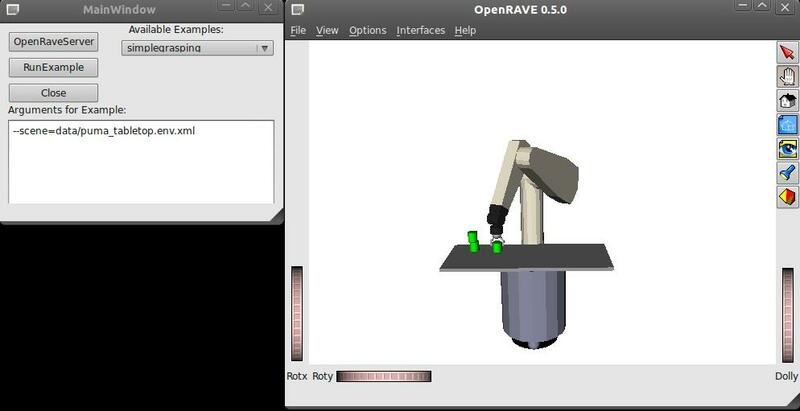 This example shows how a qt-gui can control openrave functionality. If an environment with a robot is loaded, a random pose is generated for which a trajectory is planned. This trajectory can be replayed using the qt-gui. Control server to run the benchmark in its own process. Setup the shared memory data structure model and initialize the control parts.